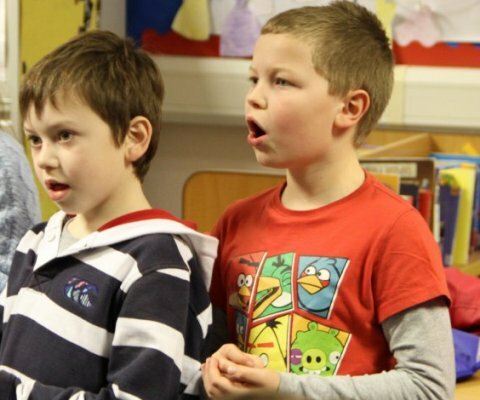 As well as being fun, singing together in a choir has many benefits for children’s development and well-being. These include gaining music education, making friends and boosting confidence through performing. Singing also helps to develop literacy, concentration and memory. Experience shows that boys fare better at singing when they are in their own team. 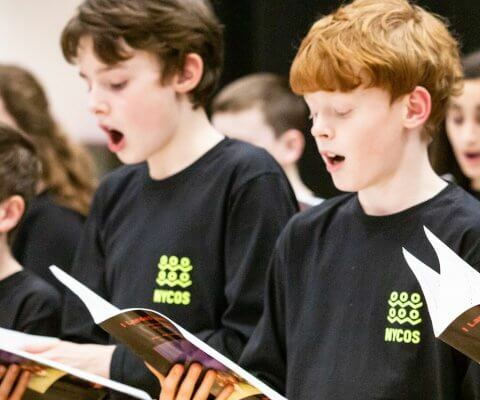 Led by experienced music teachers and choir leaders, NYCOS Perth Boys Choir meets once a week during term time, where boys learn and sing together with others their age. 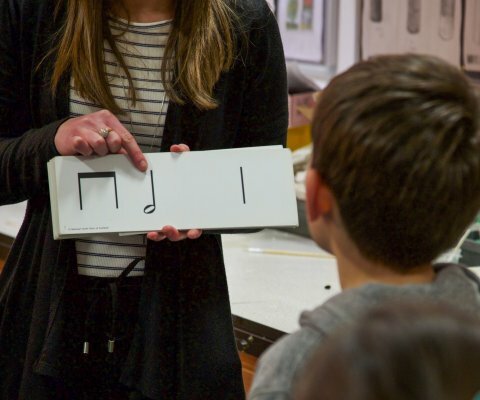 As well as singing in a group, members progress through our musicianship programme (based on Kodály method) and develop skills such as learning to read music, pitching, rhythm, sound production and simple theory. Want to join this choir? Our choirs help young singers reach their full musical potential. The choir meets each week during term time for rehearsals – a total of 30 weeks each year. 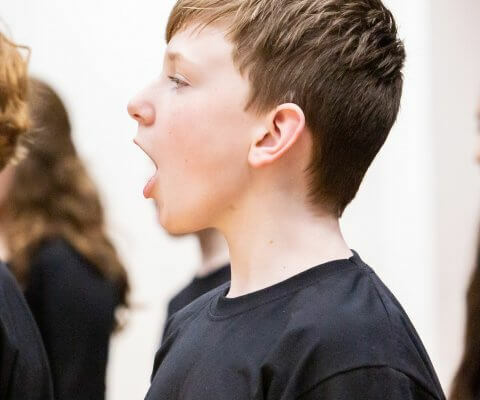 Rehearsals last from 1 hour at Junior Choir stage up to 2.5 – 3 hours for older children. The children sing music appropriate for their age and voice that is also enjoyable. This is drawn both from Scottish music and music from around the world. 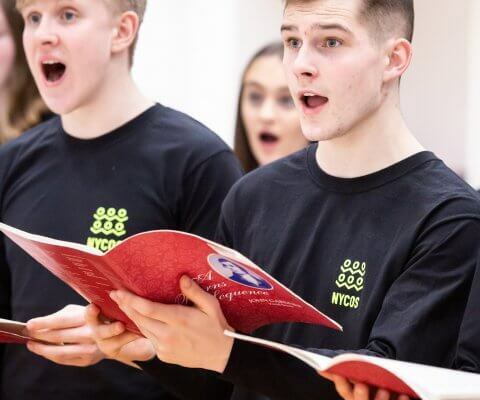 Being part of a NYCOS choir isn’t just about singing in a group; our musicianship programme (based on Kodaly method) helps to develop skills such as learning to read music, pitching, rhythm, sound production, solo signing and simple theory. 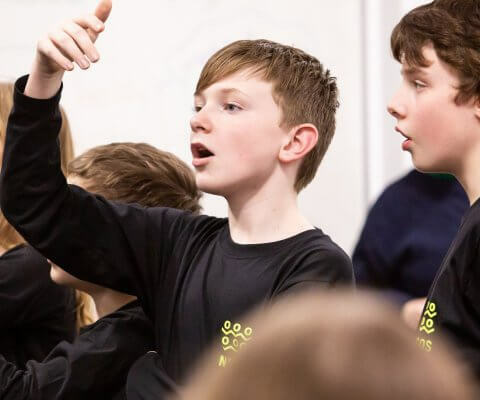 Our awards programme offers progression through its three levels: Bronze, Silver and Gold, which chart choir members’ development as they work towards goals. A Gold level pass can be used as a substitute for ABRSM Grade 5 Theory. Each area choir is led by a Choir Director, supported by music staff. 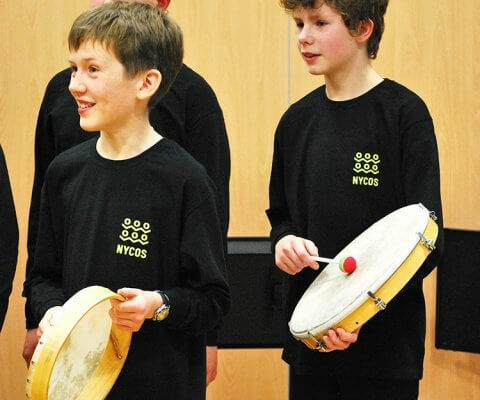 All of our music staff are qualified musicians and are required to undergo an Enhanced Disclosure with NYCOS. Each choir will also have a Coordinator at local level. The annual membership fee for Junior Choir is £140 (less than £4.50 per week). If cost is an issue, don’t be put off as flexible payment options and financial assistance are available. We also offer a four week risk-free trial for new members. We hold workshops to recruit new members before the end of the spring term and just after the summer holiday. Applications for our free workshop are now closed. Your child many still may still be able to join this choir. Please contact us for more information. EXPAND CLOSE Can my child join after the choir has started? Please do not be put off applying if your child has missed the recruitment workshop. Depending on the time of year, we are happy to take on additional choir members. Please contact us on 0141 287 2856 if you wish to discuss a late application. EXPAND CLOSE How do I pay the membership fees? You can pay your child’s membership fees by logging into your online account and selecting the ‘Your Memberships’ option or just click the button below. You can also pay your fees by cheque or by card over the phone. EXPAND CLOSE How much does membership cost? As children move through each section of the choir the rehearsal time increases. If cost is an issue, don’t be put off. Thanks to our donors and supporters we can cover up to 100% of the fees. EXPAND CLOSE What age does my child have to be to join the choir? Children are normally recruited at the end of P3 for entry at P4. Older children are accepted into the choirs, but this is dependant on factors such as their age, vocal quality and ability to read music. EXPAND CLOSE What happens at the recruitment workshop? 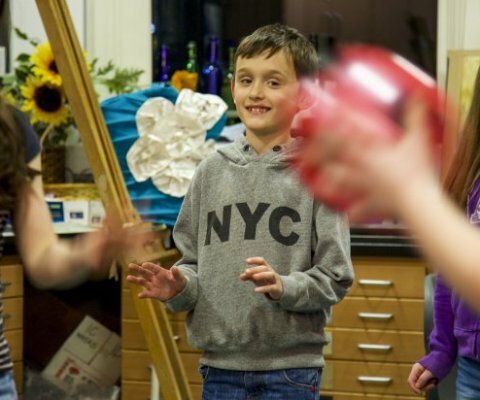 We have a fun and informal way of assessing singers: children try out simple singing and musical games in groups, which enables our staff to select singers for membership of the choir. Our free half-hour workshops are open to children in Primary 3 upwards. EXPAND CLOSE What happens if my child decides to leave the choir? We understand children may leave choir during the year for a number of reasons and operate the following refund policy. In the first year of membership you will receive a full refund with no administration fee if membership is cancelled within four weeks of the choir start date. For memberships in their second and subsequent years refunds will be issued following according to a sliding scale less a £10 administration fee. See our Terms and Conditions for further details. EXPAND CLOSE Where can I buy tickets for the choir’s end of term concert? Tickets for all NYCOS Regional Concerts are sold online. You will receive an email notification when booking opens for your child’s concert. Daniel Walsh will lead the choir in weekly rehearsals and any performances. Nancy Fuller will be at rehearsals every week and acts as your local point of contact.